Heads have been nodding in approval since the news that Cate Blanchett will head the jury of the Cannes festival 2018, the 71st edition of the event. Everyone wins with this choice. The organizers have promised a “committed president”, movie fans have welcomed a most singular actress and professionals have been commenting her remarkable career and commitment to both cinema and theatre. The 48-year-old actress is the twelfth woman to be entrusted with this function, four years after New Zealand director Jane Campion. She succeeds the Spanish filmmaker Pedro Almodóvar last year whose jury awarded the Palme d’Or to Swedish director Ruben Östlund’s “The Square”. Blanchett has proven a popular choice for both independent movies and major production over the years, including The Lord of the Rings trilogy by Peter Jackson, Benjamin Button by David Fincher, Babel by Alejandro González Iñárritu, The Life Aquatic by Wes Anderson, The Good German by Steven Soderbergh, Coffee and Cigarettes by Jim Jarmusch. She has also worked with Steven Spielberg, Terrence Malick, Sally Potter, Ridley Scott, Woody Allen and Todd Haynes. 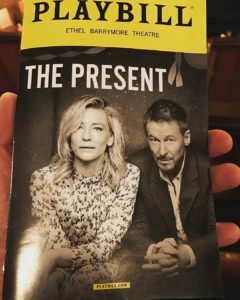 Some have noted that the choice could be seen as the festival sending out a post-Weinstein message, as Blanchett has been outspoken on the subject. Perhaps, but that would be forgetting that by any criteria one can use, Blanchett is over-qualified to fill this new role given the depth and range of her talent, popularity and experience. The Cannes Film festival will be held this year between May 8 and 19, 2018.